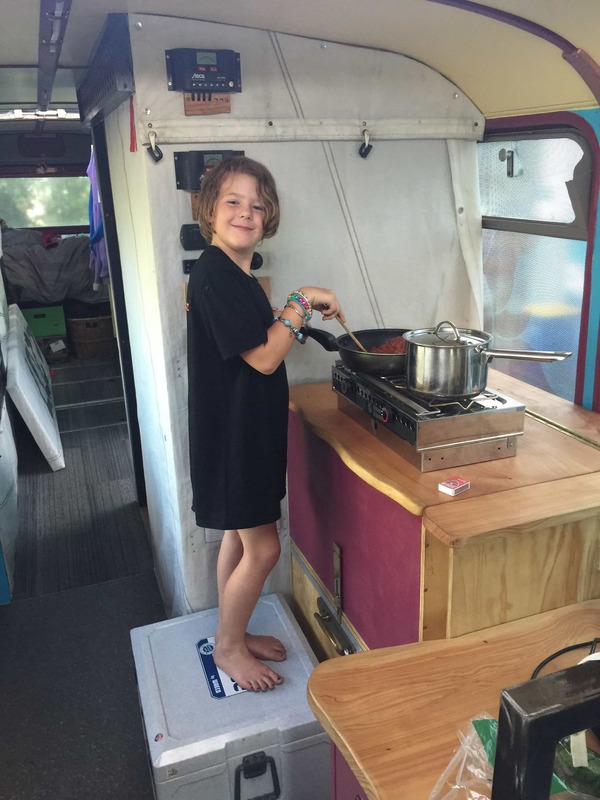 We quit work, sold our house in Auckland and spent six months full-time on the bus conversion. 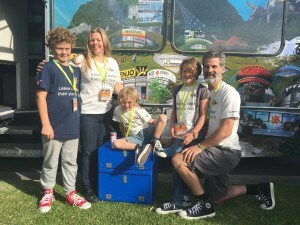 With the added motivation of becoming sustainability champions for the New Zealand Motor Caravan Association our time was split between physical work on the bus at the Motorhome Repairs Auckland workshop and sourcing truly sustainable products and materials. We launched our adventure at the Covi Supershow in March 2016 having had very little sleep in the days leading up to it. 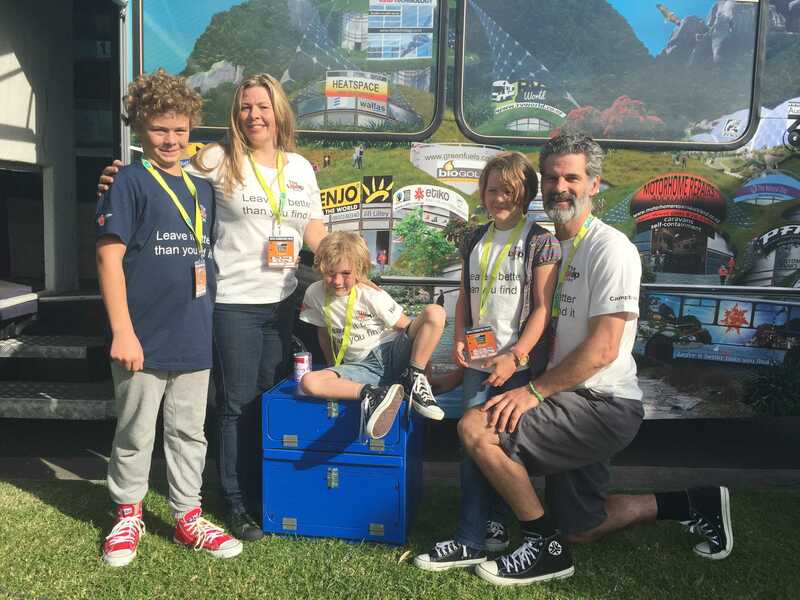 This video courtesy of our friends at Bus Life NZ shows our bus inside and out highlighting some of the key elements of the fitout and some of the inspiring stories behind them. Some of our favourite shots of the fitout journey from our Instagram feed. Our carpet tiles are made from recycled fishing nets known as ghost nets. One of the most degraded coral reefs in the world was in the Philippines and it was covered in ghost nets. The Zoological Society and Interface, a world leader in sustainable business practice, stepped in and formed an unlikely partnership. 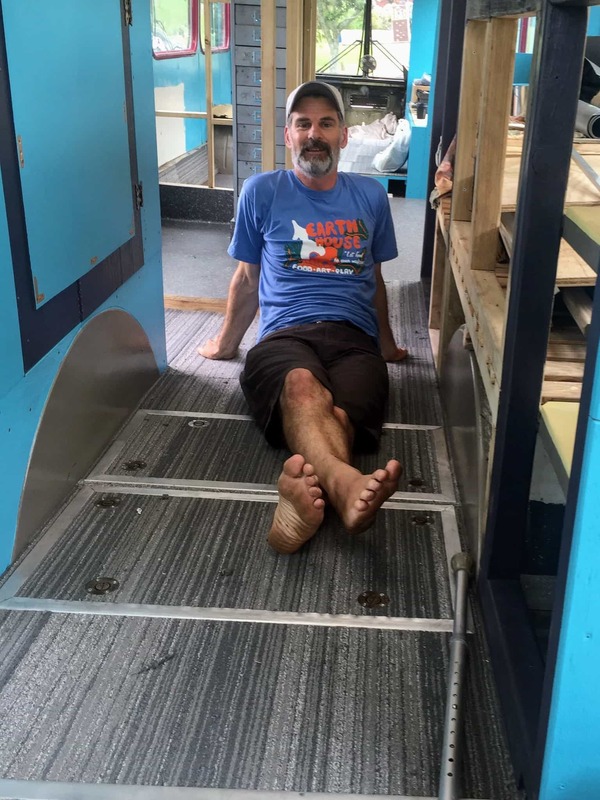 It began with the question: how could a carpet tile help address inequality? The result is Net-Works an innovative business that empowers people in coastal communities to collect and sell these discarded nylon fishing nets, thereby removing them from the ocean where they are wreaking havoc with marine life. The nets are then sold into a global supply chain and recycled into yarn to make beautiful carpet tiles. The initiative has had a hugely positive social and environmental impact and a second programme has recently been established in Cameroon. 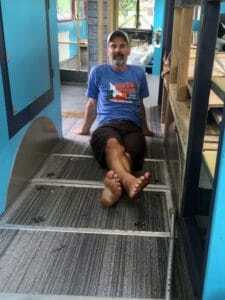 Inzide Commercial, a commercial flooring solutions company in Auckland, donated carpet tiles for our bus with a distinctive pattern to reflect the shoreline from whence they came. Our daughter Breeze was inspired and saddened by stories told by our friend Marie of when she was Breeze’s age living as an orphan in a refugee camp in Africa. Marie’s life depended on finding and bringing back wood for cooking. It was a very dangerous hungry job starting at 4am and not ending till after 7pm. Marie walked for miles to find sticks in a deforested landscape that was made this way by years of women and children forced to spend almost all the hours of their lives doing the same before her. The open fires are inefficient, cause lung diseases, eye irritation, conflict over a vanishing resource and almost total irreversible destruction of the landscape. In 2008 this initiative won several global green energy awards being recognized as helping slow deforestation, reduce indoor air pollution, lessen gender-based violence, and mitigate conflict between refugees and locals in these harsh environments. The project has seen such success that a factory has been built in South Africa to make the CleanCook Stove and make them available to all of Africa (www.cleancook.com).